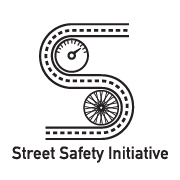 The Street Safety Initiative was developed by a coalition of west-end Cycle Toronto ward groups (13, 14, and 18) and DIGIN. This project was sparked by a conversation between a cyclist and an e-bike rider about the need for more respect and courtesy among different road users on the streets of Toronto. Growing congestion has resulted in more aggression and carelessness on the part of drivers, cyclists, pedestrians and other road users. The consequences are serious: Toronto’s traffic fatalities reached 63 in 2013—a ten-year high, and higher than the number of homicides in the same year (56). These collisions are not inevitable. Safer streets can be created. In the last few decades, for instance, Sweden’s Vision Zero initiative drastically reduced traffic deaths even as the number of cars on the road increased. New York City launched a Vision Zero initiative in 2014 and other cities are starting to sign up. The City of Toronto is developing a Road Safety Plan for Toronto. A large part of these safety campaigns have to do with urban planning, such as reduced speed limits and infrastructure changes, but there is also a role for public education to support a change in our traffic culture. This is an area in which we can all play a role. The Street Safety Initiative brings community groups together to deliver a public education and outreach campaign. We aim to promote the key message of Vision Zero, that traffic collisions are not inevitable, and if individuals make minor changes to their habits, they could save a life. Starting with a neighbourhood project, we hope this initiative will have ripple effects in the greater Toronto area and beyond. Our initiative is a modest education campaign built around a website and in-person outreach to the general public and new drivers in particular. The website includes key messages as well as public awareness tools and resources that call attention in a light-hearted but pointed way to dangerous and disrespectful street behaviours, like aggressive and distracted driving, cyclists or anyone else running red lights, or crossing the street while texting. ü stop at stop signs and red lights! ü ride on the street, not the sidewalk! ü use lights after dark! ü leave a metre when passing cyclists/e-scooters! ü go easy on the horn! ü stop at the stop line, not in the cross walk! ü don’t park in bike lanes! ü don’t text and walk! ü stay alert when crossing the street! ü wait for the pedestrian signal before entering the intersection! ü shoulder-check before turning/changing lanes! ü keep right except to pass/turn & pass only on the left! ü signal their turns and lane changes! Design elements of the website were inspired by Thumbs Up Waterloo Region and Share the Road Nova Scotia. The website will launch in late spring 2015. Once it is live, we will drive people to the site by handing out stickers and pamphlets at streetside stops, music festivals, etc. In fall 2015, teams will visit local high schools to reach students as new drivers. Just as Mothers Against Drunk Driving made drinking and driving more socially unacceptable in the 1980s and 1990s, this initiative aims to support broader efforts to do the same for the distraction, aggression, and the lack of courtesy we currently see in our traffic culture. If there is interest in taking the initiative city-wide or further, we will gladly partner with other groups and police units. Please contact streetsafetyinitiative@gmail.com for more information. Check it out at www.StreetSafety.ca!